During the last half of the nineteenth-century lumbering was a big business in the Midwest and the Eastern United States. 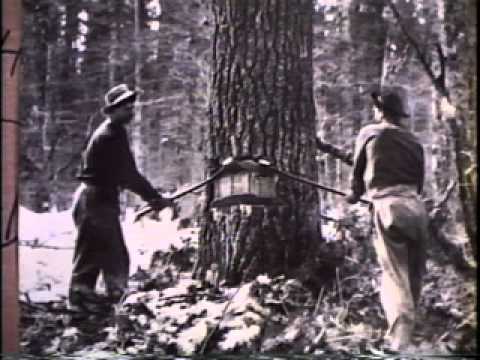 The huge white pines and other trees that grew abundantly in New England, the Eastern Mid-Atlantic, and the Midwest became the prime resource for an industry that made a tremendous impact on the economy and history of those areas. 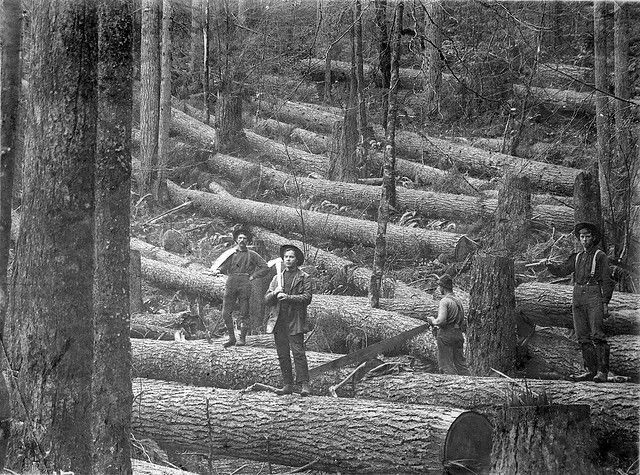 Logging camps, sawmills, and boom towns sprang up, while the vast forest quite literally turned into towns, cities, and wasteland, stripped of its timber. The lumbering days of the Great Lakes region provide an ideal study for young readers. There are many wonderful legends, tales of adventure, and songs within this colorful segment of American history. Many museums in the Midwest display photos and tools from their lumbering past. The lumbering story also provides excellent examples of how an industry provides many different jobs, both directly and indirectly. It shows how the use of one resource relies on a variety of other resources, such as the need for rivers in transporting the logs from the forest to the sawmills. More importantly, it emphasizes the value of natural resources and the high price of environmental waste and carelessness. Lumbering days also give students a portrait of America in the late 1800s. Its diverse labor force was a prime example of America's melting pot and economy. The 'jacks daily lives also provide a reminder of the intense physical labor involved in building a nation, and the lack of education and technical knowledge, that today, is needed to move America forward. Within this chapter of America's past, students see history in the work, struggle, efforts, and play of America's people.